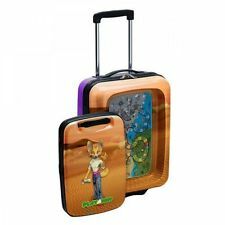 We travel a lot as a family and so when we came across this awesome kids hand luggage sized suitcase on The Good Toy Guide on www.fundamentallychildren.com, we were over the moon, as it would help us out on those long horrible flights. Kyd and Rocky both take a lot of 'stuff' to keep them happy and entertained whilst on long flights, let alone Kyd's medical kit and Rocky's nappies etc, it really can build up to quite a load. We usually have to share it between all four of our hand luggage cases to make it easier to carry but that means searching each bag to find something when we need it, on a tight enclosed plane, making it a complete nightmare. 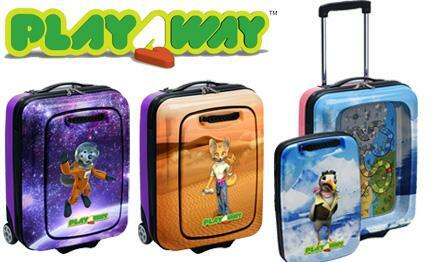 The Playaway case is a cabin sized suitcase perfect for children. 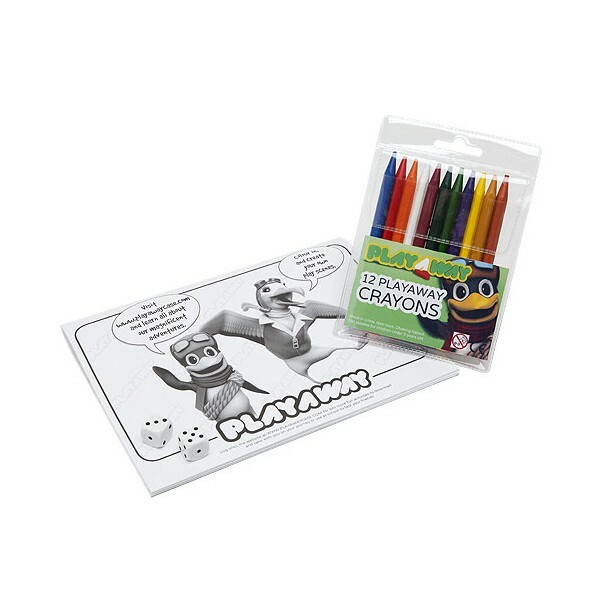 The case features a unique removable PlayPod with a 20 page activity book and 12 quality crayons. 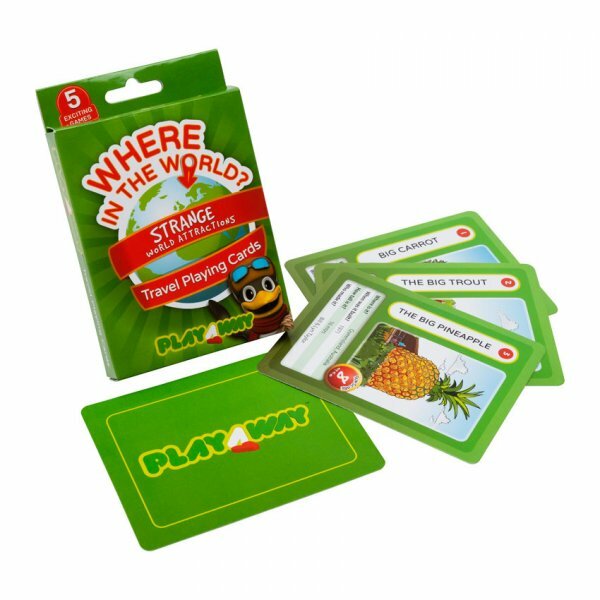 The case also features a hidden board game with dice and counters and a website where you can download activities & learn where you are going. Children will have fun and helps reduce the stress for parents. This is a genius idea. Something that makes life so much easier for us as a family whilst travelling. I am really impressed with the website's features, the print out activities are free to download too. It is easy to get carried away though, the PlayPod section takes away some of the suitcases space and so although it look a lot bigger than your average kids case, it's not got any more space than usual. This is a little bit frustrating, as I said above they take a lot of stuff and although it holds a few more bits than normal, it's not solved all of our problems. The PlayPod itself is AWESOME though. Great idea to have it as a detachable pod with all their entertainment in it, making it easier when in the cabin. It means we can stop the hunting in each bag for the iPad or the colouring book. The activities that come with it are also very well thought out and the hidden board game is perfect for airport waits and delays. We are really looking forward to using it on our next trip away next month. I will have to update this review with some pics when we get back.